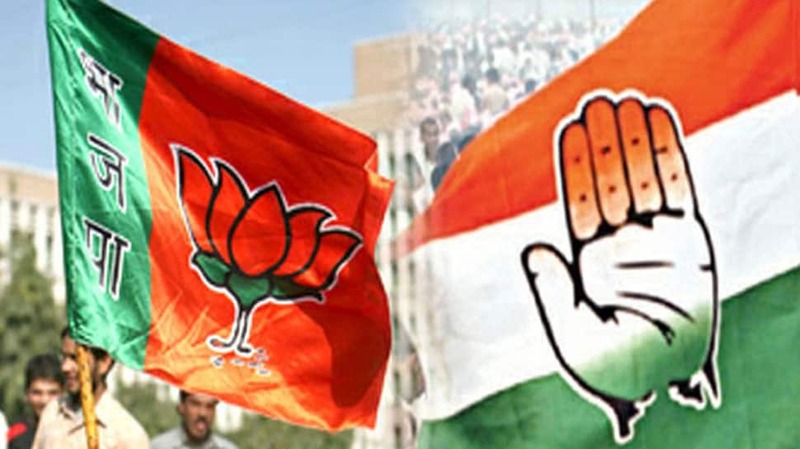 MUMBAI: The prosperous, politically-dominant region of Western Maharashtra, which has seen a huge turmoil in recent weeks, is all set for edge-of-seat contest in its nine Lok Sabha constituencies here. Unawed by the `Modi wave` of 2014, the region conceded only two seats to the Bharatiya Janata Party (BJP), two to its ally Shiv Sena but gave four to the Nationalist Congress Party (NCP) and one to the Swabhimani Shetkari Sanghatana (SSS). The elections will decide the political fate of some of the biggest political clans like the Pawars, the Mohite-Patils and the late Vasantrao `Dada` Patil`s family clawing to retain their stronghold as the ruling BJP attempts to bulldoze their supremacy. For starters, the third generation Parth Pawar, son of former Deputy Chief Minister Ajit Pawar and grand-nephew of NCP supremo Sharad Pawar, is contesting from Maval, while his cousin-aunt Supriya Sule (Sharad Pawar`s daughter) is nominated from Baramati. Parth is pitted against Shiv Sena`s sitting MP Shrirang C. Barne with the ally BJP Minister Chandrakant Patil vowing to chase away Parth from the battlefield. In fact, Modi was scheduled to address a rally here on April 10, but it was cancelled at the last minute and now he`s expected to come next week to give a final push to Pawars` prospects. In Shirur, there`s a dash of glamour in the form of television actor Amol Kolhe – famed for the roles of Chhatrapati Shivaji Maharaj and Chhatrapati Sambhaji Maharaj – contesting on an NCP ticket. Sangli has another tough contest coming up with the late Vasantrao Patil`s grandson, Vishal Prakashbapu Patil, entering the fray on an SSS ticket, as part of the Congress-NCP led 56-party Mahagathbandhan, pitted against the BJP`s sitting MP Sanjay `Kaka` Patil. Vishal Prakashbapu Patil`s nomination sparked a family fued with his elder brother and former Union Minister Pratik Prakashbapu Patil qutting the Congress and politics. The Satara seat has an interesting contest with the NCP`s two-time MP Udayanraje P. Bhosale, a direct descendent of Chhatrapati Shivaji Maharaj, locking horns with the BJP`s Narendra Annasaheb Patil, a former Shiv Sainik. Hathkanangale will see two-time SSS MP Raju Shetti take on the Shiv Sena`s Dhairyasheel Mane, son of former NCP MP Nivedita Mane. Western Maharashtra has several major sugar mills, Pune is regarded as the state`s cultural capital and the `Oxford of the East`, Solapur is famed for its textiles industries while Sangli is India`s turmeric capital.